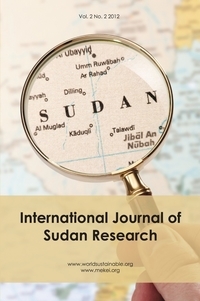 Abstract: The objective of this study is to evaluate the average production performance of captive red-necked ostrich raised in the Sudan, pertaining to egg production, egg external characteristics and hatchability over three consecutive production seasons. The parent stock consisted of 9 males and 19 females, 2-3 years old and was in the second season of production, fed on 14% CP and 9.23MJ/Kg. The overall mean seasonal values showed 20.35 ±10.82 eggs produced per hen at a weight of 1650.73 ±215.89 gm with fertility 54.59±20.09 % and hatchability of incubated eggs 32.65± 16.22 %, with fertile ones 57.41± 17.53 %. Mean external physical egg measurements were 44.53 ± 1.13 and 40.35 ± 0.90 for mean circumference length and width, 15.43 ± 0.55 and 12.56 ± 0.38 cm for axial length and width of 139 fresh eggs of the first year lay measured. Shape index value was 81.79 ± 0.76. The overall means of hatching egg weight, water loss % of hatched eggs, one day chick’s weight and the percentage of chicks to the egg weight were 1687.80 ±201.47 gm, 10.99±2.07 %, 1094.11± 185.20 gm and 64.58± 05.09 % respectively. Results were compared to similar ones in open literature.